Feature: 8mm Heavy duty metal, bolt on rail for safety, support middle bar for all sides. 2" plastic caster wheels, comes with all the nuts and bolts needed to hook on your headboard footboard. FL Comment: Some assembly needed, metal side rail use to hook up headboard and footboard. Can also be sure alone with mattress only. Caster color may vary. 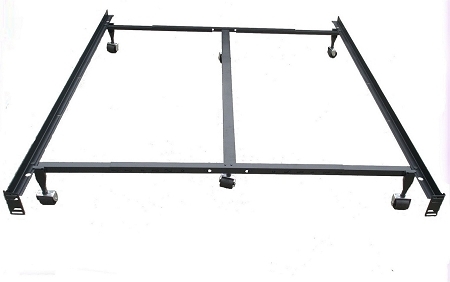 USE THIS METAL BED FRAME AS A STAND ALONE OR ATTACHED TO A HEAD BOARD. 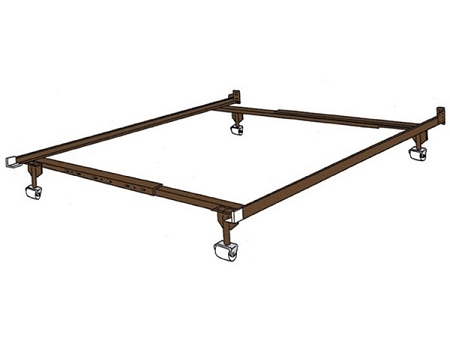 NOTE: Usually bedframes come with 4 Casters, If you like to have addtional Casters and for the mid support for the Cal King/King. Please indicated your requirement.